Personality: Akane is pretty hot tempered, and can get angry easily. She can get very jealous and almost possessive. Akane also thinks that almost everything is a martial art. Which is the reason for her bad cooking. Weakness: Being called 'ugly,' or insulted. History: Akanes' mother has died, which made Akane a tomboy, and not knowing how to cook or other womanly tasks. While growing up, Akane is treated like a boy, and starts martial arts training. She was cast as Romeo once. When 16, she was engaged to Ranma Saotoma. (Girl) She met boy Ranma, and understood it. She claimed to hate boys, yet she liked Dr. Tofu. Who likes Kasumi. She would do anything. Including pretending to be his fiancee, and trying to win a grand prize for Tofu and Kasumi. 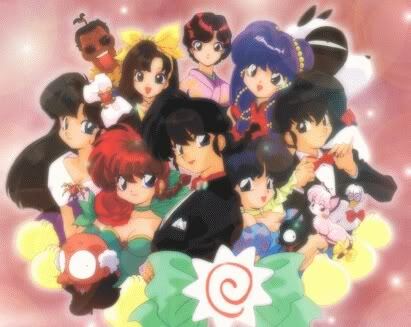 Akane has been admired by many boys, and would fight a hoard each day before school, until they accepted the fact that Akane and Ranma were engaged. She was still admired by the perverted Kuno, and strong Ryoga Hibiki. Ryoga has been acting as P-chan, and became her pet, and soon fell in love with Akane. She would compete for Ranma in a series of completions, and would almost fail, and get jealous whenever Ranma would flirt with the other "fiancees". Her fiancee would always call her 'uncute,' or 'unsexy,' and would be abused in so many ways. But despite it all, Akane has fell for Ranma all the same. Akane has been the hostage of many plans, and also the target of many perverts. She's also been posed as Ranmas' wife at times. i'm the main admin, and so, approved.